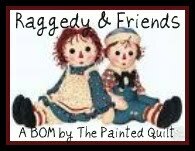 Kaaren of The Painted Quilt has been offering a block of the month Raggedy Ann quilt for the past few months. If you have not been over at her blog to check it out...really, you should! 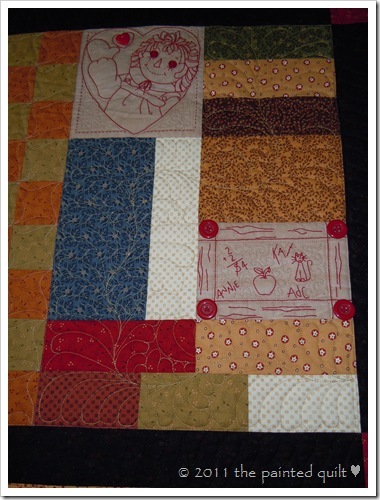 The blocks are wonderful! She just posted the last in the series...so you can go and download all twelve embroidery blocks. Her embroidery designs are stupendous...and the patterns are very well done. They are all in pdf format downloads...just click...scroll down...wait a few moments and then download!